Your Discount Tire Family is here to support you. Our first priority is the safety of our people and their families. As far as we know right now, our people are safe. More details will be added to this page as we get them. Thank you for reaching out and your prayers. Everyone in the Central California Region is safe and no homes were damaged or lost. It was a scary few days but everyone is back in that was evacuated. An update form the Northern California Region is expected soon. 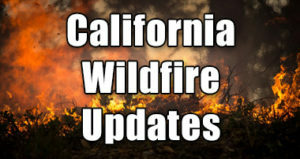 For up-to-date information on the effects to the state of California, visit www.fire.ca.gov. Consider making an additional contribution to the Bruce T. Halle Assistance Fund (BTHAF); one of the reasons for this fund is specifically to take care of our own in times of crisis, such as natural disasters. IF I HAVE BEEN IMPACTED BY THE FIRES, HOW CAN I GET HELP? First, if you can, reach out to your Store Manager, AVP or Regional VP to let them know your situation. If you want to submit to the BTHAF for assistance specifically related to this disaster, please use this form. For emotional support and/or legal help in these trying times, consider using the services offered by our Employee Assistance Program (EAP). The EAP is free to you and your family. If you have any other benefits related questions, contact the Benefits Team at the Corporate Office: 800-347-4348 or benefits@discounttire.com. Free Help Line: Optum is offering a free emotional-support help line to affected individuals. The toll-free number, 866-342-6892, will be open 24 hours a day, seven days a week, for as long as necessary. The service is free of charge and open to anyone. Callers may also receive referrals to community resources. Along with the toll-free help line, emotional-support resources and information are available online at www.liveandworkwell.com. Bruce T. Halle Assistance Fund.